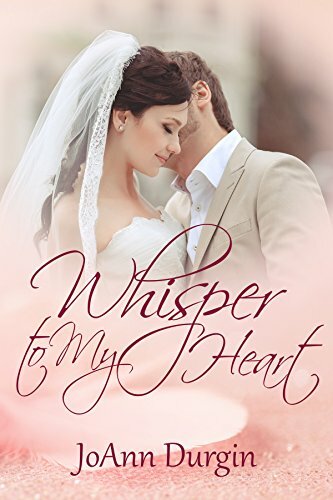 I love books where the story is set in my home town or, in the case of Whisper to My Heart, my home state, Georgia. Although set in the fictitious town of Darling, Georgia, JoAnn Durgin has done a wonderful job of capturing the small town, everybody-knows-everybody atmosphere. And then, there’s the music. Our heroine, Anna, is a classical concert pianist, who has escaped to Darling, Georgia, to rest and recover from an extremely busy concert season. She takes a job at the local diner, not because she needs the money, but so she can meet some of the locals. It is at the diner that she meets Weston, a crew member of an Atlanta-based construction firm, who is in town to build a bank. I will not divulge any more of the story. You need to buy the book! But I will say that JoAnn has once again written a beautiful love story that has many scriptures and or scripture references included. She has even included the “salvation plan”as we Baptists call it. Add to this mix, a cast of crazy, funny people and you have the makings of another hit book by JoAnn Durgin. I did not receive any compensation for this review. The opinion expressed here is solely my own.